Hi there fellow FT fans - I am a keen builder with a learners ticket in the air! I would like to put a camera on my planes and get some footage, but I am a bit confused about onboard cameras vs FPV - my question is can you use a small FPV type camera and record the footage somehow rather than streaming the video etc? yes, but you will need a receiver of some kind with a dvr. these can be bought pretty cheaply. you can go with a video screen or just buy a receiver you can plug into your tablet and record. most of the newer FPV goggles come with a dvr as well. if you plan on getting into fpv this may be the best route. get both for the price of one. I've flown the runcam hd and the mobius. Both record pretty nice HD video. The best solution may depend if you want to just fly FPV, or just record HD video, or if you'd like to do both. If you just want to record high quality video, I'd say get something like a runcam hd, tape it on your airplane, and go fly the wings off! @ElectriSean - would you also recommend a simple camera to go with the RuncamDVR? this bundle looks like good value! 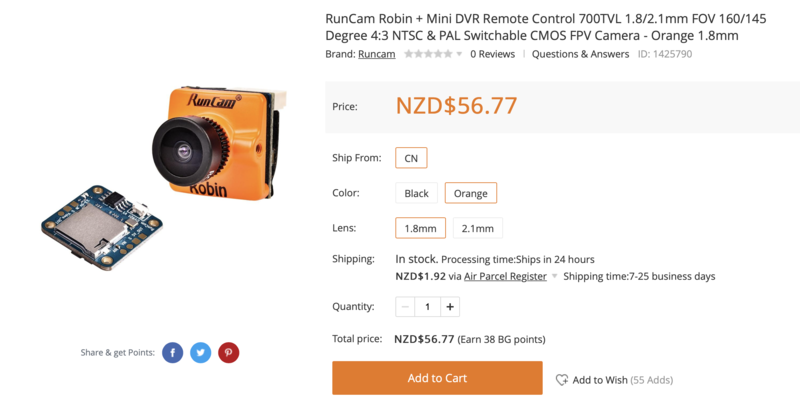 The Runcam Split Mini 2 is a similar price and will record 1080/60 as well as provide an FPV feed to a VTX with the bonus of swappable M12 lenses. It will run off battery voltage up to 20v as well. @FDS - when you say record, you mean also has an onboard SD card? Yes, the attached board has an SD card slot, it records the 1080 footage there. There's also the option of Runcam Split, Runcam Split mini, Caddx Turtle, or the Turbowing Cyclops v3.... They're all fpv cams that also record hd footage, instead of simply recording the analog fpv output. Personally I like the Cyclops V3... It's cheap, it's tiny, and it with a vtx and a 3d printed backpack, it makes for a very modular and portable fpv/hd system that can go from plane to plane. I'm not familiar with the Robin, but Runcam makes great stuff. Great thread @bracesport! I tried a GoPro in the past but that made the plane hard to handle at least to me. I could also suggest something like what @Arcfyre is using a usbsitck motion camera which he strapes onto the wing of the plane with velcro strap. my question is can you use a small FPV type camera and record the footage somehow rather than streaming the video etc? As others have said Yes you can, it is possible. But I would not recommend doing that. 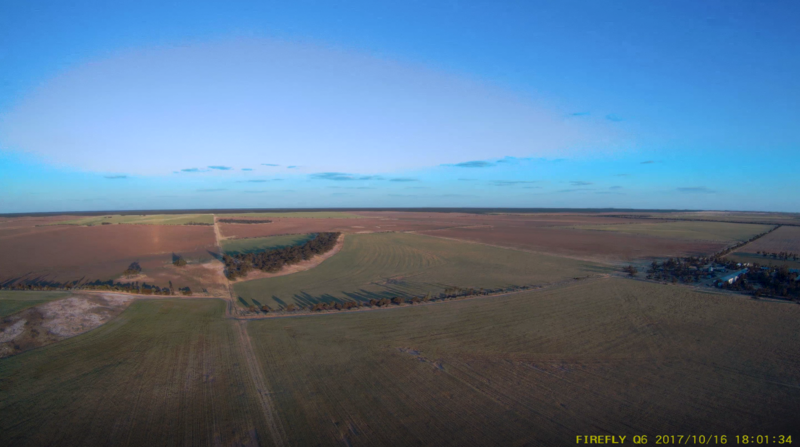 Most FPV cameras output standard definition, 480p. For good quality recording you will want HD, at least 720p. The problem with HD, it has a delay, a latency, from what the camera sees & what you see on the screen. The really high price HD equipment is reducing the latency to an tolerable level. You would be far better off getting a small action camera, that records HD, than try to build you own. Something like a Mobius or Firefly. I'll also add, don't use the output of an action camera to fly FPV, they have too much latency. It will work with ideal conditions, high up and no wind. Too much latency, if your plane is being knocked around by the wind. Wow, thanks for all the feedback! I had a few amazon dollars so I grabbed a cyclops v3. I’ll need to have a hunt around the house for an SD card! 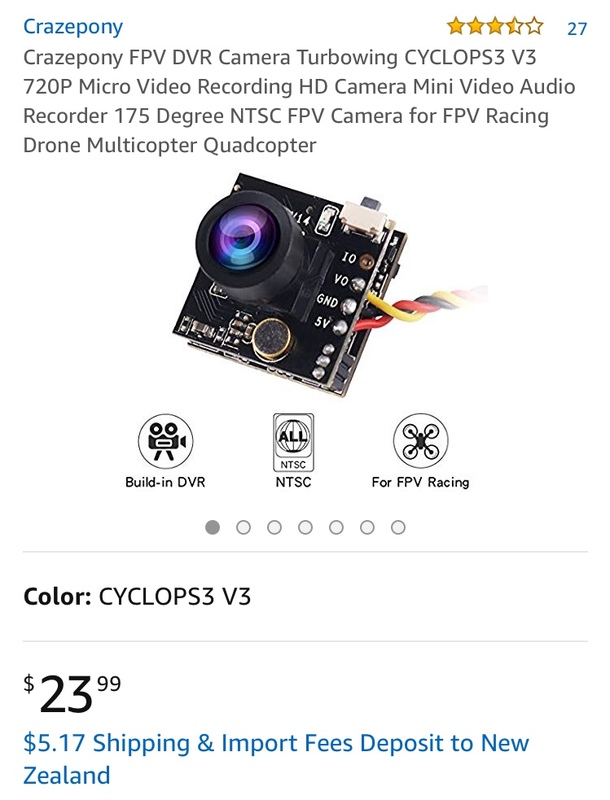 If you wanna do fpv with it, can I recommend this vtx? 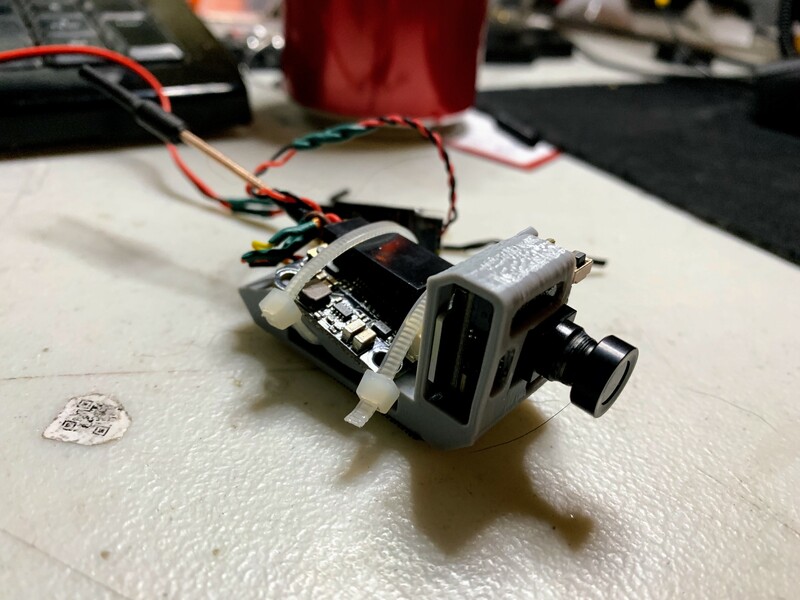 It has a built in osd, so if you run it off battery voltage, and power your camera through the vtx, you'll have voltage osd, and filtered 5v power for your camera. It needs 7v minimum voltage tho, so you deff need to run it off the battery or you'll get poor signal. I just made a male to female adapter with a lead coming off to the vtx that I can plug in between the battery and the esc to power mine. They way I can plug it into any of my planes easily. @w1lp33 - thanks for the recommendation - I will look into it as very probably I will get hooked on the FPV opportunity! @bracesport so when is your camera arrving? I want to see some air video off your glider project.